Is your brain in need of a little exercise? 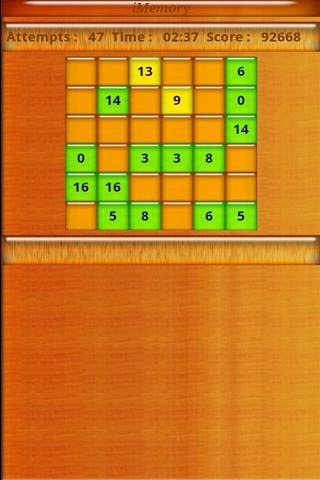 Check out iMemory. 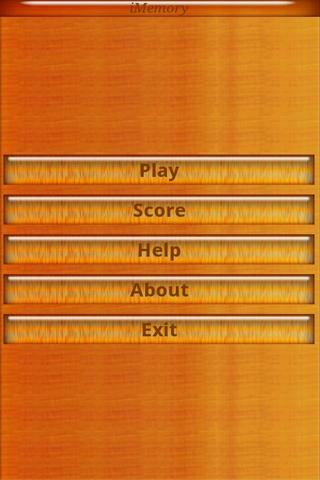 iMemory by SR Mobile is a simple memory game to exercise your memory. The object is to match pairs of numbers as few moves and time as possible. When the box displays the number, remember where they are so you can fnid them when the corresponding number is revealed later in the game. 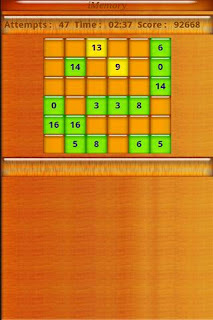 The score starts at 100,000 and decreases based on the number of moves as well as the time elapsed prior to the game's completion. Once the score reaches 0, the game is over. 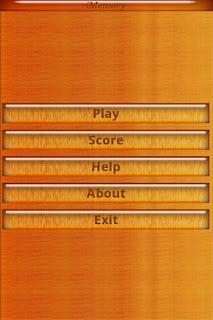 Scores are kept uniquely by game mode (i.e., the score screen will show the points for each type of game 2 x 2, 2 x 4 etc.). These scores are also kept on a global leaderboard (powered by Swarm) for extra goodness. Whip your memory into shape, and go get iMemory for your Android device. It's a free way to train!